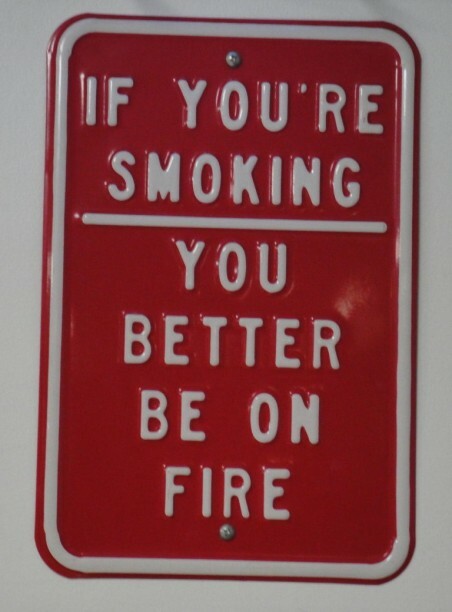 New Orleans smoking ban, here is what you need to know. Yesterday the New Orleans City Council adopted a citywide smoking ban. The vote was unanimous to end smoking and vaporizing in most indoor public spaces, with a few obvious exceptions like hookah bars, cigar bars, and tobacco shops. While it was no surprise the ban was coming, there are still a lot of questions about the new rules. We’ve studied the newly adopted ordinance and the recent amendments to understand how they should apply. Having said that, here’s a quick and mostly accurate rundown of where you can and can’t smoke or vape in Orleans Parish. Can you smoke in bars in New Orleans? NO, you may still smoke in outdoor areas like patios, balconies, and courtyards. Can you smoke in restaurants in New Orleans? NO, the state of Louisiana got all progressive and banned that in 2007. Can you smoke at Harrah’s Casino? Or at the bingo hall? Can you smoke on Bourbon Street? Yes, while you are outside on any street or sidewalk anywhere in the city you may smoke. Even at the bus stop? Yes, even at the bus stop. Can you smoke cigarettes at a hookah bar? No, you can only smoke hookahs at a hookah bar. What about at a cigar bar? No, you can only smoke cigars at a cigar bar. So, won’t every bar in the city become a cigar or hookah bar? Some may try, but they are “supposed to” be pre-existing and make 10% of their revenue from tobacco products. Can I smoke inside my own home? Yes, you may still smoke and or vape in your own home. For now! Who is going to enforce this ban? Most of the factual information in this rundown was gathered from the fine chart at the Some-Times Piccayune. The snarky parts are all us.